The next evolution of robots in disguise! 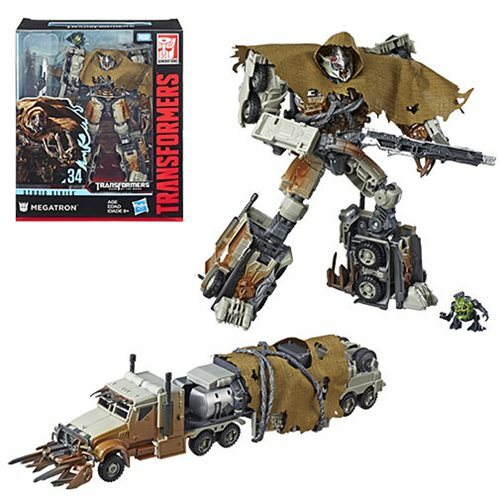 9-inch tall figures transform from Autobot or Decepticon to vehicle. Wave 1 item contains 1 individually packaged figure. The next evolution of robots in disguise is here with these Transformers Studio Series Premier Leader action figures! Each transforming toy goes from Autobot or Decepticon to vehicle and back again, and they all include exceptional articulation and cool accessories. As robots, they measure about 9-inches tall. Ages 8 and up.